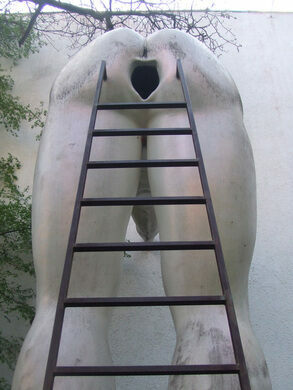 David Černý has a number of controversial, provocative sculptures scattered throughout Prague and the wider world. Of all of these, Brown-nosers is perhaps among his most not-safe-for-work exhibits. 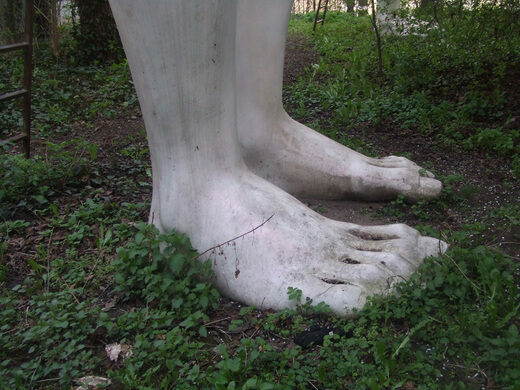 The sculptures are a permanent fixture hidden in the back garden of Futura, an art museum. The gigantic, naked lower halves of two bodies are bent over and lean against the side of the building, revealing their rather gaping orifices. Though their somewhat obscene appearance doesn’t make the figures look too inviting, Brown-nosers is actually an interactive, mixed-media exhibit. Brown-nosers was erected in 2003. 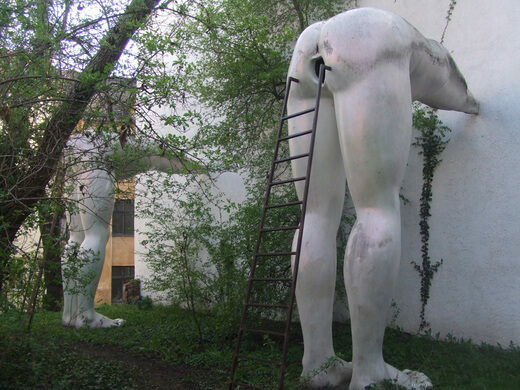 The approximately 17-foot-tall artwork is supposedly a metaphor for the state of Czech politics. Surprisingly, the giant sculptures can be a bit difficult to find—visitors to Futura must first wind their way through the building’s internal exhibits to reach the back garden. Buses, trams, and metros bringing you near the place. The fastest way to get there is via the Anděl Prague Metro station and walk for about 15 minutes. This attraction appears within the Futura Gallery O.s. Be sure to check that they are open before you go. They are closed every Monday and most holidays. This strange sculpture is an enigmatic icon of this medieval German town.